I pulled some soil samples a couple weeks ago. The soil has been drying in the greenhouse since. 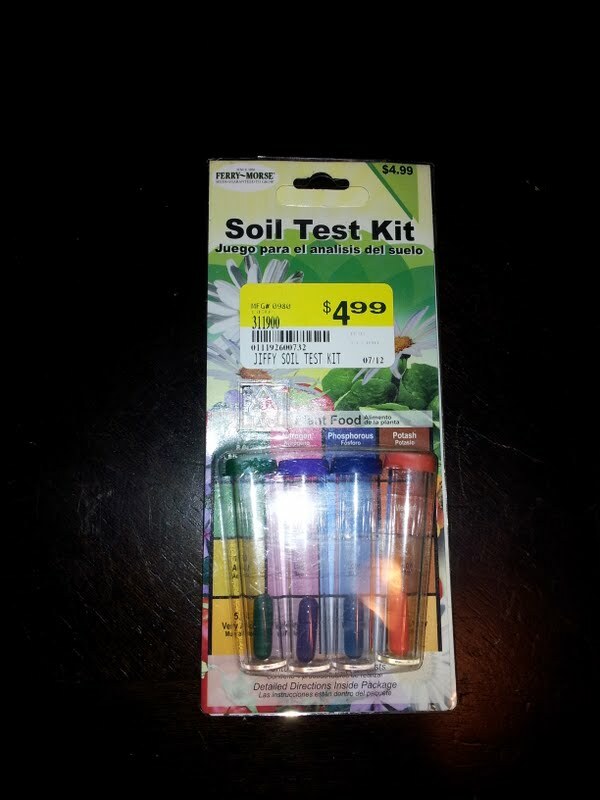 I figured this would be a good opportunity to try a cheap soil test and compare it with a more expensive test. I’m not going to talk about how to take soil samples. Feel free to Google or YouTube ways to take samples. The pH test involved putting soil into the test tube, emptying the green capsule into the tube and then adding distilled water. Of course, the green capsule wouldn’t open. I tried cutting it open and some of the powder ended up on the counter. Oh well. I’m glad I purchased two of the cheap tests. 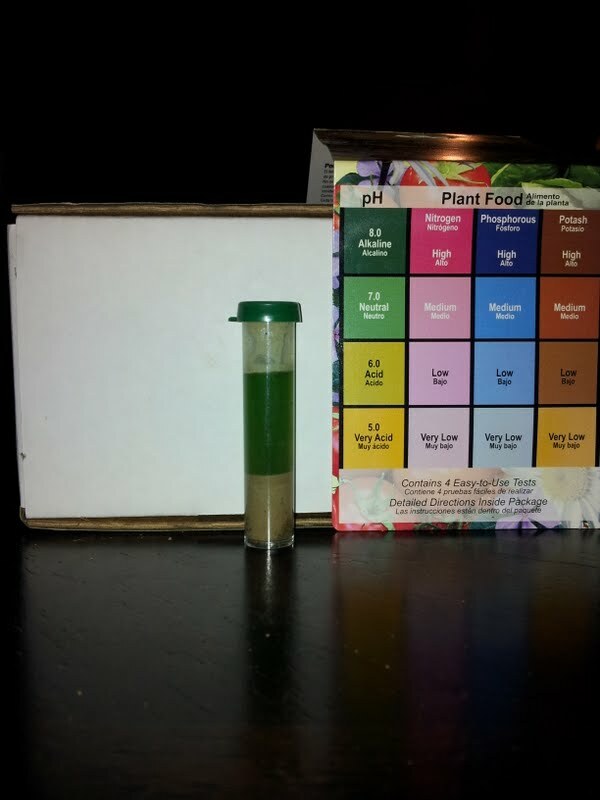 The pH test came up neutral (the pic came out darker). This surprised me. I can’t wait to see what the more expensive test shows. 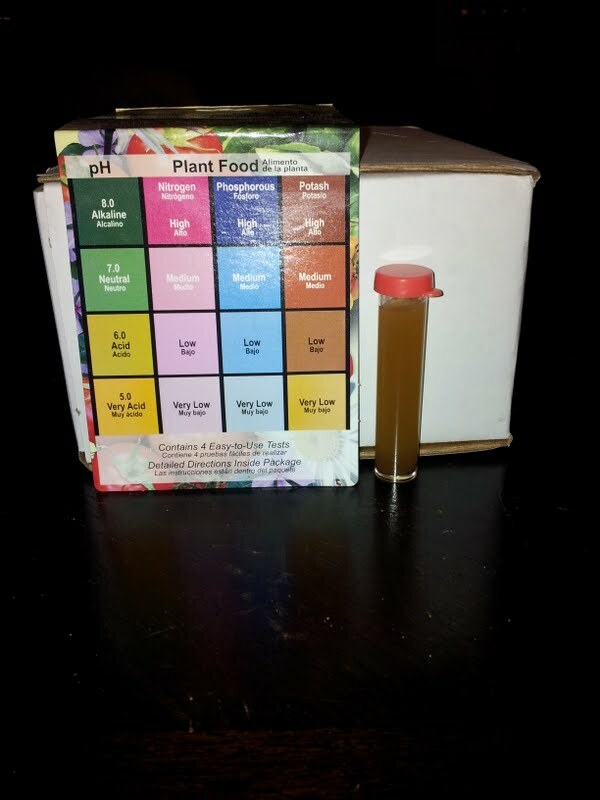 The rest of the tests required that soil be mixed with water first. The sediment settles and the water is put into the tubes. The nitrogen and phosphorus tests didn’t even register on the chart. I can believe that there isn’t any nitrogen in the soil. The soil registered low for potash. Again, the pic came out a little darker than real life. If these tests are correct, there’s little in the way of nutrients–just sand and a little clay. I have my work cut out. I’ll post the results of the other test tomorrow. This entry was posted in The Land and tagged soil test by admin. Bookmark the permalink.